Congratulations Virtual SAN team, more than 1000 customers reached in 2014! I want to congratulate the Virtual SAN team with their huge success in 2014. I was listening to the Q4 earnings call yesterday and was amazed by what was achieved. Of course I knew that Virtual SAN was doing well, but I didn’t know that they had already reached 1000 customers in 2014 utilizing the Virtual SAN platform. (Page 6) I am sure that these numbers will grow strong in 2015 and that Virtual SAN is unstoppable, especially knowing what 2015 has to offer in terms of feature/functionality set. I know many of you must be interested as well in what is coming in the near future. If you haven’t registered yet for the launch event on February the 2, 3 or 5th (depending on region) make sure you do so now. It is going to be an interesting event with some great announcements! 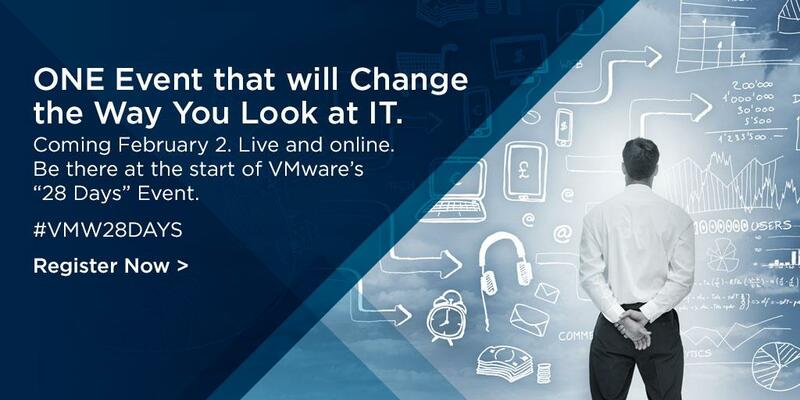 Besides that, by simply registering you will have the chance to win a VMworld 2015 ticket and who wouldn’t want that? Register now!